At the place of the City Hall of Ioanina of today, there was the turkish headquarter of Ioannina which was burnt twice in 1928 and 1930. The National Bank of Greece built the today’s building in 1936 in a post-byzantine rhythm and with the help of the architector Zouboulidis. 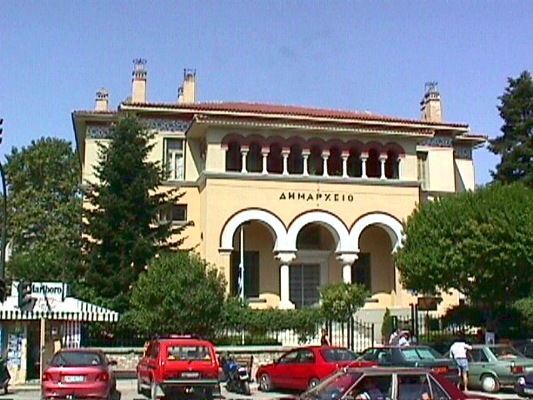 It was used until 1950 as a branch of the National Bank of Greece. In 1960 the bank left the buliding and on the first floor stayed the kings whenever they visited the city, while in its ground floor there was Zosimaia Library. 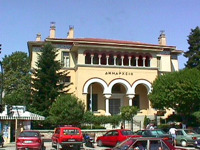 Nowadays the ground floor is used for exhibitions and other events and on the first fllor there is the City Hall of Ioannina.